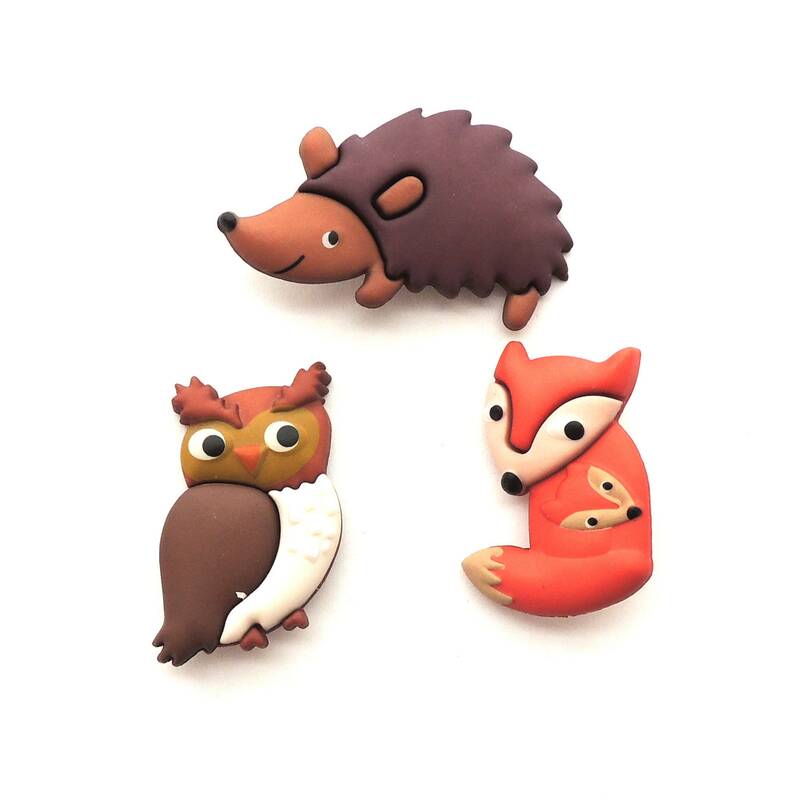 These Woodlands Animal Buttons are perfect for you forest creatures project. You'll receive the assortment shown. There is a shank on the back. Obviously, they vary in size. For reference, the hedgehog measures a little over 1 1/2" from nose to tail.